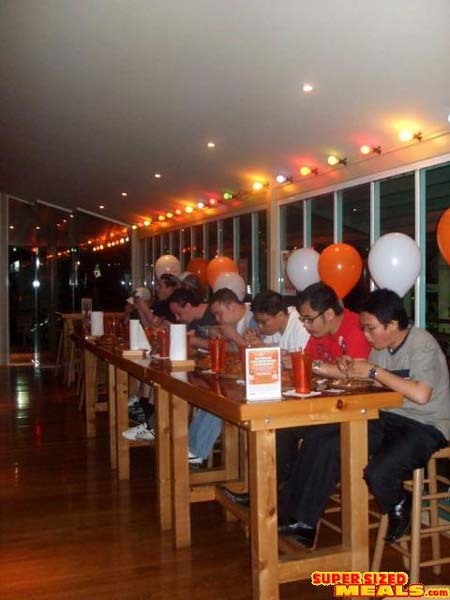 Hooters Australia is holding their second annual "Hooters Ultimate Chicken Wing Challenge" over the next 4 weeks. Contestants will compete in 3 semi-final rounds, with the top 3 scorers going through to the Grand Final on the 7th November. $10 entry includes unlimited Wings (for the 15 minutes of competition) , complementary drink, a 20% Hooters VIP card, and the chance to walk away with "$$$ worth of Hooters Prizes". Each of their 3 Australian stores will be holding the event individually. Follow the link for the entry form, more info, and pics of last years "Ultimate Chicken Wing Challenge"! ENTER NOW! 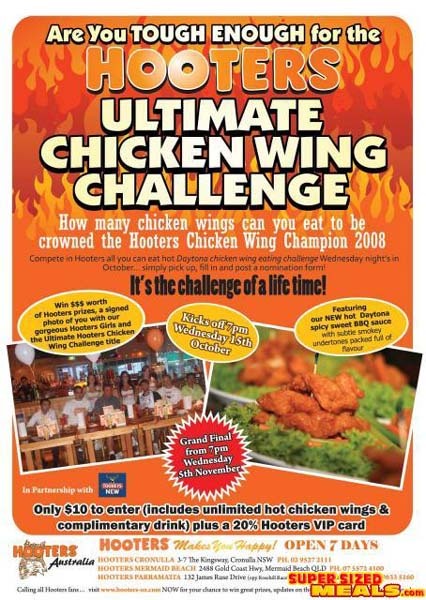 How many chicken wings can you eat to be crowned the Hooters Chicken Wing Champion 2008. 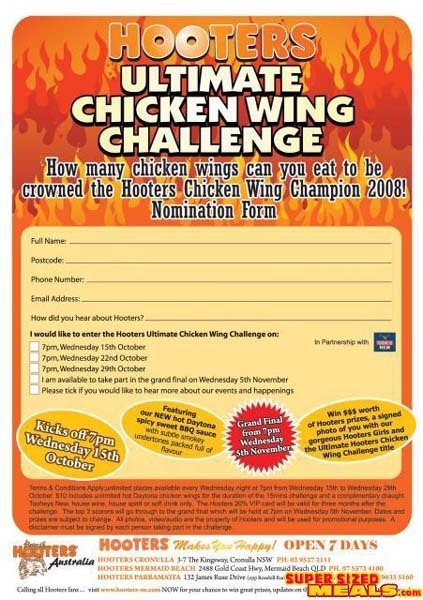 Compete in Hooters all you can eat hot Daytona Chicken Wing eating challenge Wednesday nights in October... simply pick up, fill in and post a nomination form. It's the challenge of a lifetime! Simply fill out the entry form below (click on the image for the full-sized entry forms), and contact your local store for fax/email details. There's also some pics from last years challenge below.